A fab option for your army, hunting or camo themed party! The Hunting Camo Pennant Banner is the perfect party decoration for your camo, army, hunting or combat party. 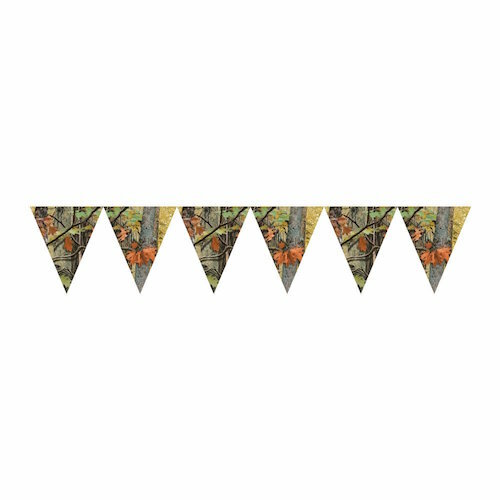 These bunting flags are made from plastic so can be used outside without issue. Printed on one side only. Length: 3.04 m long (10 ft). Each pennant is 26 cm long and there are 12 pennants on each banner.